When you eat as much hummus as we do in our house, the concept of making our own began to look more and more attractive to me. We use hummus on our tortilla wraps, as a dip for veggies, and even whip it in with a little salad dressing for some added protein. We then searched the store high and low for our ingredients, including the very elusive tahini sauce. It was a hunt, but our efforts did not wither in vain. It found its way into our carriage and we happily skipped back home. 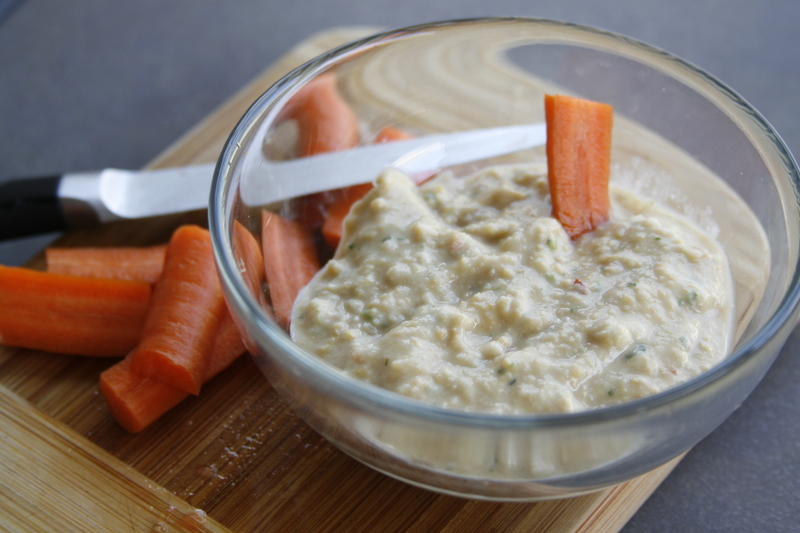 While in my research I have not been able to ascertain why tahini is such a vital ingredient in hummus, I did discover that you can often substitute it with peanut butter. Not the processed stuff like Skippy, but the real stuff that is riddled with peanut oil, and therefore a tad bit soupy. The two, tahini and peanut butter, have much the same consistency. 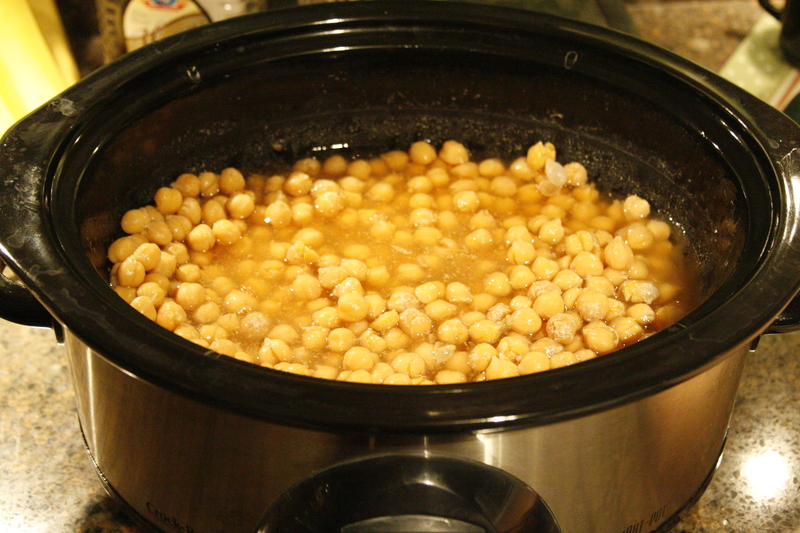 My first step was to soak the chickpeas overnight. The next morning, I washed them off and I threw them in the slow cooker on low for eight hours, covered in water, while I was at work. When I got home, they were the PERFECT texture for blending. So when I give you this recipe, it’s as close as I can estimate what originally went into the food processor – and the rest, I leave up to your judgment. Take the ingredients above, put them all into a food processor along with a half a cup of water, and blend until smooth. Drizzle more olive oil, lemon and seasonings to taste, if you so choose. And that’s my impromptu recipe. It came out nicely after refrigerating it overnight. I will certainly be trying it again. Hummus is a very healthy. It is a fantastic source of protein for all of you vegetarians, and the healthy fats in the tahini and olive oil are great for regulating cholesterol in your blood. Garlic has always been known as an amazing food medicine, helping with immune system support and is an anti-fungal. Lemon juice is chuck full of great antioxidants and vitamins that help prevent cancer. 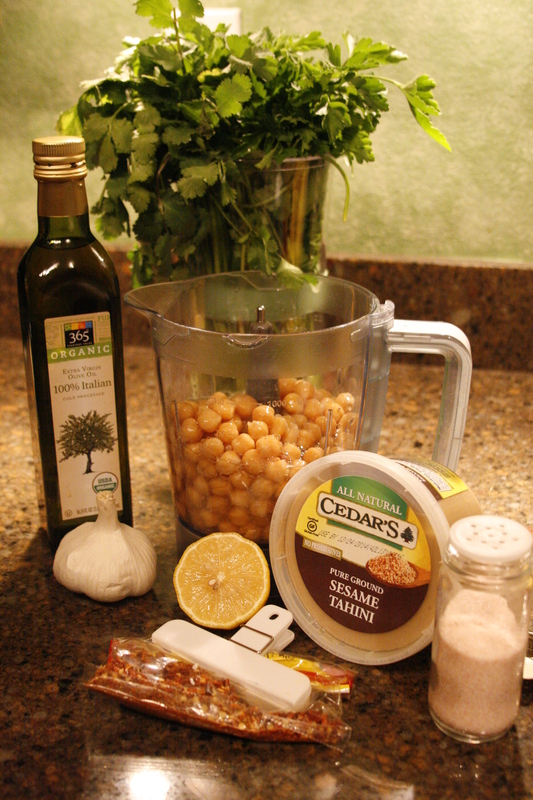 Overall, hummus provides iron, vitamin B6, manganese, copper, folic acid, and amino acids such as tryptophan, phenylalanine, and tyrosine that help with sleep cycles and mood elevation. Add to that all those awesome fresh vegetables, and you are golden. So dear reader, go forth, cook, and be vibrant! *grin* And ridiculously filling, too!